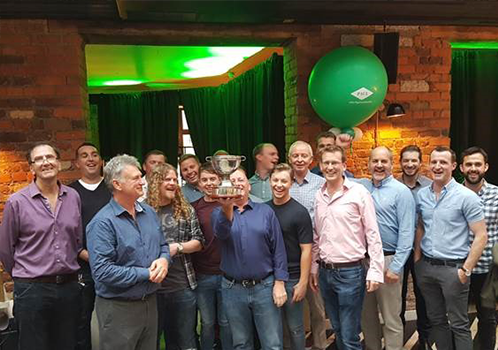 The annual JPC Summer Party took place last Wednesday, the 18th July at Roberta’s on Essex Street, Dublin 2. Staff enjoyed drinks and great food along with a safety awards ceremony rewarding exceptional standards of EHS within the company. Joe McLoughlin, Safety Director, thanked everyone for their great efforts and continuous hard work in maintaining high standards on an on-going basis.